Yes, corporate courses (i.e. 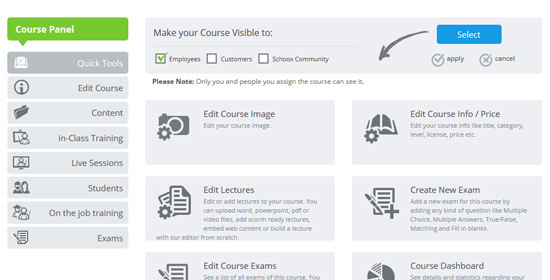 courses that are connected to a corporate Academy) can be visible only to employees or/and customers. 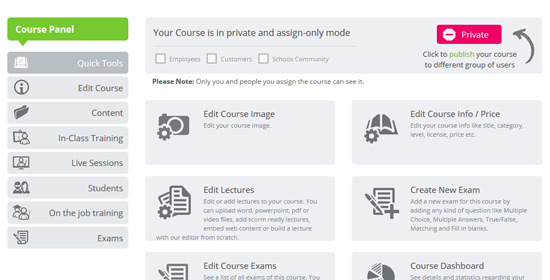 On the Course Administration Panel, click on the big pink "Private" button of a corporate Course, and you will be given the option to select to which groups of members you want this course to be visible. 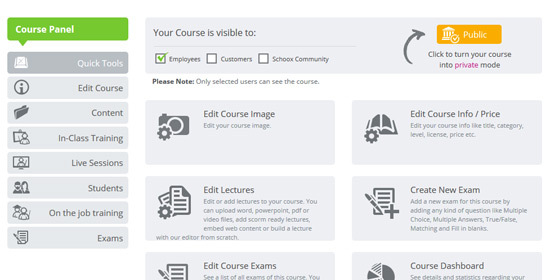 The course will then be marked as "public", but only be available to those you have chosen.